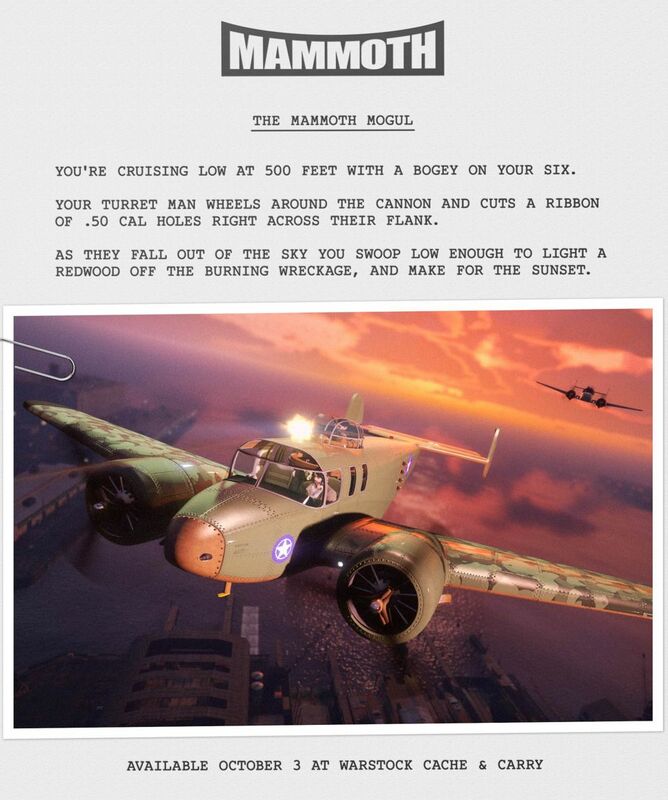 Now roaring through the skies of Southern San Andreas is the Mammoth Mogul — a .50 caliber turret packing, front-facing machine gun wielding, twin-propeller force designed to turn enemy aircraft into Swiss cheese. With upgradeable features such as jet-assisted takeoff (JATO) and a bay for housing Explosive, Incendiary, Gas and Cluster Bombs, aerial dominance never felt so good. Order the Mammoth Mogul today, exclusively from Warstock Cache & Carry. 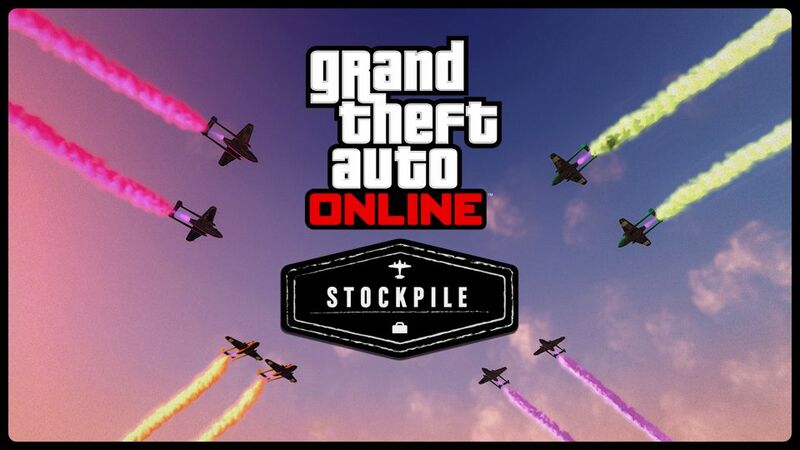 This brand new Adversary Mode offers a jet-fueled take on capture-the-flag as airborne teams take to the skies in machine gun and missile-equipped planes to grab as much loot as they can and bring it back to base. Dog-eat-dog escalates to heat-seeking dog-fight and whoever has the biggest haul at the close of business wins, but don’t forget your rivals can always plunder your stash like the good honest swindlers they are. With support for two to four teams and up to sixteen players, dive in today to earn Double GTA$ & RP through October 9th. In addition, all of Ron’s Contact Missions are dishing out Double GTA$ & RP through the 9th, so keep an eye on your iFruit for a phone call from Blaine County’s most notorious conspiracy theorist. Flight and Air Racing Suits — 25% off. Progen T20 (Super) — 25% off. Time Trial — “Power Station”. Launch Premium Races through the Quick Job App on your in-game phone or via the yellow corona at Legion Square. The top three finishers will earn GTA$ and you’ll get Triple RP regardless of where you finish. To take a stab at the Time Trial, set a waypoint to the marker on your in-game map and enter via the purple corona. Beat par time and you’ll be duly rewarded with GTA$ & RP payouts.